Despite the orange cones, many warning signs, flashing lights, and heavy construction equipment, accidents in construction zones happen surprisingly often. This is because no two construction zones are exactly alike, and even the most experienced of drivers have trouble anticipating what lays ahead and navigating zones safely. No matter how obvious workers make a construction zone, work sites continue to be hazardous and even fatal, and they only become more so at night. Florida has the third highest number of construction zone fatalities, with 66 percent of incidences involving motor vehicles. Though Florida has taken several measures to reduce the number of accidents in work zones, many drivers still drive recklessly through work areas without regard to anyone’s safety—not even their own. These drivers are a huge part of the problem, but they are not the whole of it. Negligent workers, poorly placed signs, and malfunctioning signs also play a huge role in construction zone accidents. So how, when there are so many various factors that come into play, is liability determined in a construction zone accident? It all comes down to determining the cause of the accident. Determining liability in a construction zone car accident can be difficult to say the least. If you were involved in a construction zone accident, you may be wondering, Who is at fault? Who is liable for my damages? How can I recover compensation for my injuries and property damage? At Spencer Morgan Law, our Miami personal injury lawyers may have the answers you are looking for. Construction zones can be confusing, and oftentimes the way an area is set up or a worker’s negligence is the cause of an accident. Lack of warning signs, erratically parked heavy equipment, and randomly placed tools, materials and barriers can all cause driver confusion, which may result in unpredictable driving behaviors. For instance, a driver may be driving along in what he or she assumes is their lane. Suddenly, due to poorly spaced cones, they become unsure of which lane is theirs. They jerk their wheel to the left and unwittingly sideswipe the vehicle coming up behind them. Is the accident then their fault, or the fault of the construction crew? Additionally, accidents may also occur because of the construction equipment itself. Slow moving or idling work vehicles with missing or inadequate warning lights can cause rear end collisions. Heavy equipment may back into the road; while the driver fully expects oncoming traffic to stop for them, it does not always work out that way. Bright lights, meant to help workers perform their job, may accidentally blind oncoming traffic. When accidents are caused by any of the above, the construction crew could be held liable. Sideswipes: Sideswipes occur when a construction zone calls for narrow lanes, unpredictable lane shifts, or both. Additionally, when the roadway has uneven surfaces, a vehicle’s tires could lose traction and slide into the vehicle or barricade in the next lane. Rear End Collisions: When in a construction zone, too many drivers feel comfortable texting their friends, fiddling with the radio, or any other number of unsafe activities. Because of distracted driving, and because traffic in construction zones tends to go from slow to steady and back to slow again, it is not uncommon for drivers to rear-end others in work zones. Collision With Work Vehicles: Slow moving or parked work vehicles are a common cause of construction zone accidents, and they generally result in very serious injuries and damages, as many drivers don’t notice them until it is too late. 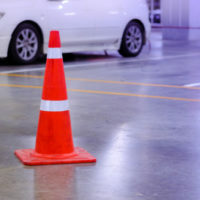 Additionally, it is not uncommon for drivers to run into warning equipment, such as signs, traffic cones, barrels, or other misplaced equipment. Accidents that occur in construction zones often undergo intense investigation, as though the claim could be against another driver, there is the very real possibility that it is the construction crew and/or company that is at fault. For this reason, if you were in a construction zone accident in Miami, it would be in your best interest to work with an experienced Miami car accident lawyer. The team at Spencer Morgan Law has the resources to conduct a thorough and proper investigation, and to determine fault once and for all. If you or a loved one was involved in a construction zone accident, reach out to our Miami personal injury lawyers for a free and informative consultation today.